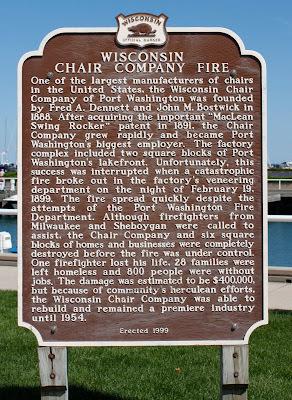 One of the largest manufacturers of chairs in the United States, the Wisconsin Chair Company of Port Washington was founded by Fred A. Dennett and John M. Bostwick in 1888. 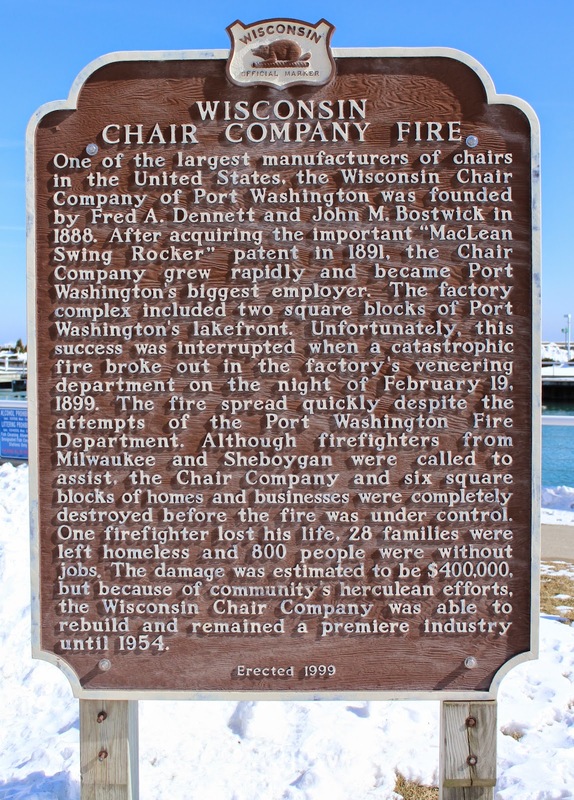 After acquiring the important “MacLean Swing Rocker” patent in 1891, the Chair Company grew rapidly and became Port Washington’s biggest employer. The factory complex included two square blocks of Port Washington’s lakefront. Unfortunately, this success was interrupted when a catastrophic fire broke out in the factory’s veneering department on the night of February 19, 1899. The fire spread quickly despite the attempts of the Port Washington Fire Department. Although firefighters from Milwaukee and Sheboygan were called to assist, the Chair Company and six square blocks of homes and businesses were completely destroyed before the fire was under control. One firefighter lost his life, 28 families were left homeless and 800 people were without jobs. 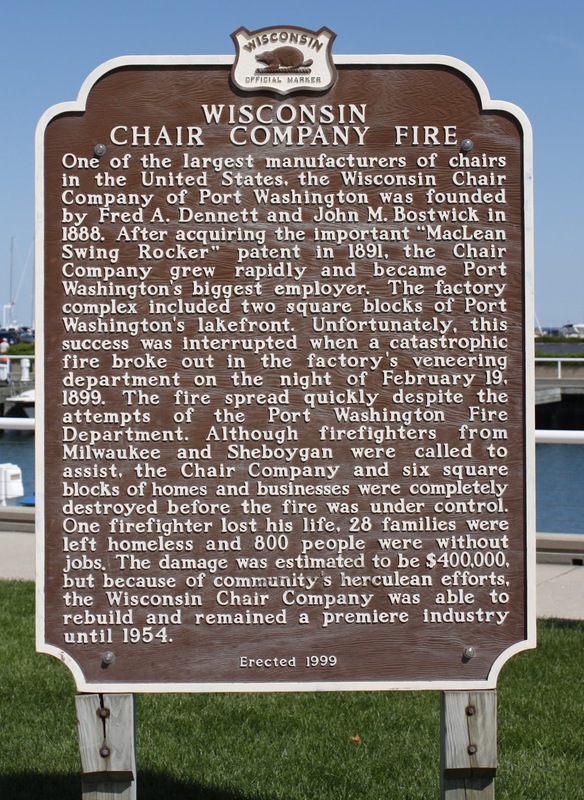 The damage was estimated to be $400,000, but because of community’s herculean efforts, the Wisconsin Chair Company was able to rebuild and remained a premiere industry until 1954. The marker is located at the cul du sac at the end of East Main Street, next to Dockside Deli, 218 East Main Street, Port Washington, Wisconsin 53074. The marker is next to next to Dockside Deli. A memorial to the steamship Niagara is also at this location.